In preparation for the Pacific Crest Trail, Sarah and I methodically looked at each area of our gear to see where the weight could be stripped down. With a keen eye towards saving weight and maintaining overall comfort we left no stone unturned. We looked at upgrades for our packs, sleeping system, tent, cooking setup and water filtration. Our gear style is to be mindful of ounces, but not overly obsess about them. The gear totals are rounded up ever so slightly, because honestly, whole numbers are easier and it was close enough. Traditionally, it’s the big three: the pack, tent and sleeping bag; but the sleeping pad seems pretty fitting, thus our list of four. With that, here are the big four items plus a bonus item that we will be carrying! I choose the ULA Circuit because it offerers the volume, load carrying capacity, and the durability that I was looking for. Dyneema is all the rage right now and maybe for good reason. However, I could not justify spending hundreds more just to save a few ounces in this area. With the Circuit, I get what I paid for: durable, lightweight, and my target for weight load and volume were met. My one negative is having the back panel directly against my back with no air flow. 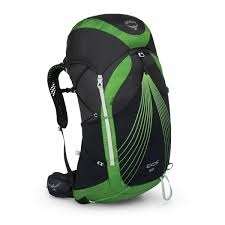 Otherwise, I am quite happy with this upgrade and it has been a great pack for me during trips so far. Sarah has a similar setup with some differences in pack choice and quilt temperature rating. She opted for the Osprey Exos 58L pack, really liking the mesh panel that allows for better airflow against her back. She has had great luck with Osprey packs in the past and loves overall fit and comfort. This was a tough one. We already had an MSR tent we liked so it was not a needed upgrade, but the tent was one item where we could save on substantial weight. The hang up for me was really in the cost and the life expectancy of the tent at around 2500 miles. Saving over two pounds was worth the cost and easily justified in my mind since I would be carrying the tent. 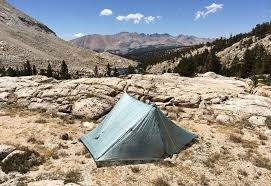 If the tent only makes one epic journey, then so be it; I can not think of a more fitting lifespan for a tent than hiking the PCT. We have not been disappointed in trail testing the Duplex throughout the summer; there are zero regrets with this purchase. This was another place to save some weight and actually meet our sleeping needs better. I have never been so happy with a sleeping bag as I am with this upgrade! I went with a custom made quilt opting for the 950 fill at a 20 degree rating and weather resistant strips. As a side sleeper and someone who is usually warm in bed, the quilt was a great option. I am really impressed with the size, warmth and versatility with this quilt. 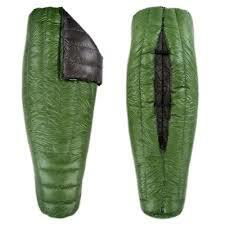 For me, this is easily my most favorite sleeping bag to date. Sarah also went for the Revelation quilt. She sleeps colder than me she opted for the 10 degree rating with 950 fill along with the weather resistant strips. This pad pairs well with the Revelation quilt; it is warm, packs down small and I have never found more restful sleep than with this pad and the Revelation quilt. We have some concerns over the durability in the desert with small pokey things and there have been some complaints of the pad losing air throughout the night. 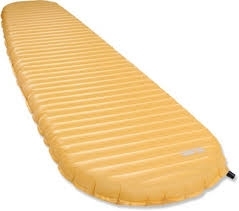 We are open to carrying a foam sleeping pad in the desert and then switching to the NeoAir further up the trail. 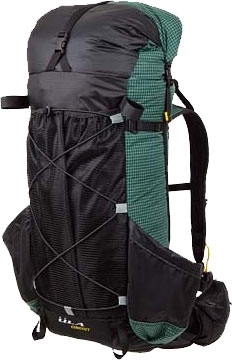 Regardless, the NeoAir will receive the majority of nights for both of us during our hike. 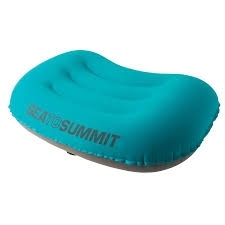 Since we value sleep and recovery so highly, we thought we would just “try” the Aeros pillow out. We loved it! It is super light weight and way more comfortable than a lumpy stuff sack filled with whatever might be available. Pricey? Yes, but worth it! We may have been able to find cheaper and lighter options, but we put faith in our research and we made the best decisions for us and our budget. Certainly the trail will magnify the choices made several months beforehand, but for now this feels like the right and best setup for us. Hindsight is 20/20 right?